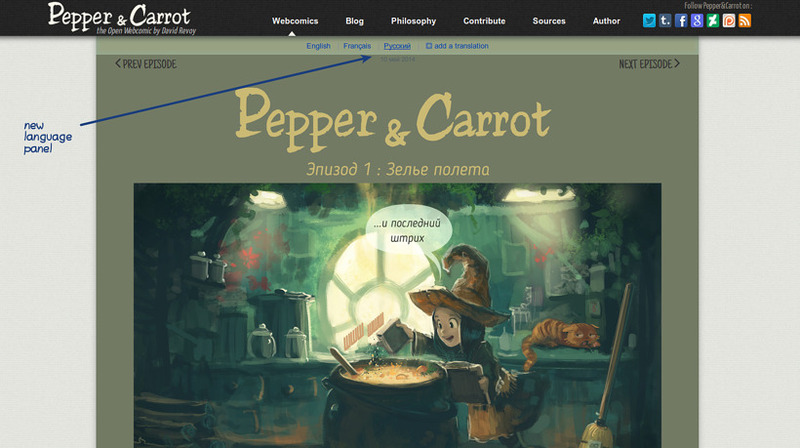 Pepper&Carrot website is now multilingual, and propose translation links on the top of pages. The creation of translation is open-source and everyone is invited to add a translation. I even wrote a tutorial about how to add a translation in only 5 easy steps. 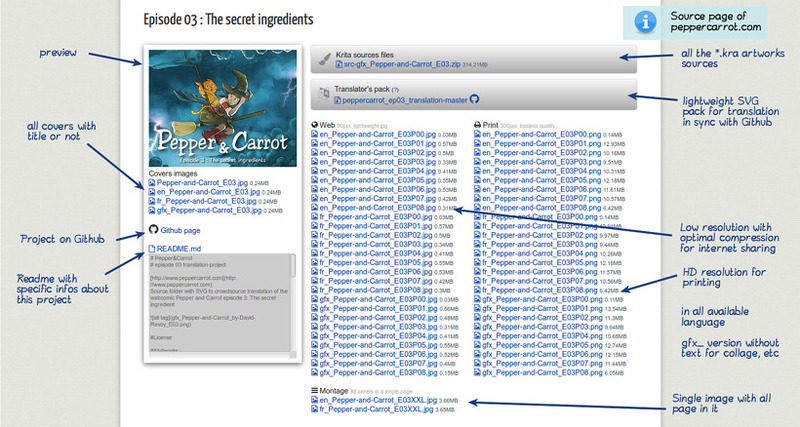 The source page now proposes low resolution, high resolution , all into direct download, for any available language. Also, check files with the prefix gfx_ ; 100% artwork version without any speech-bubbles or texts ( ideal for derivative works ). The pages propose also a set of dynamic links to all Github repositories . 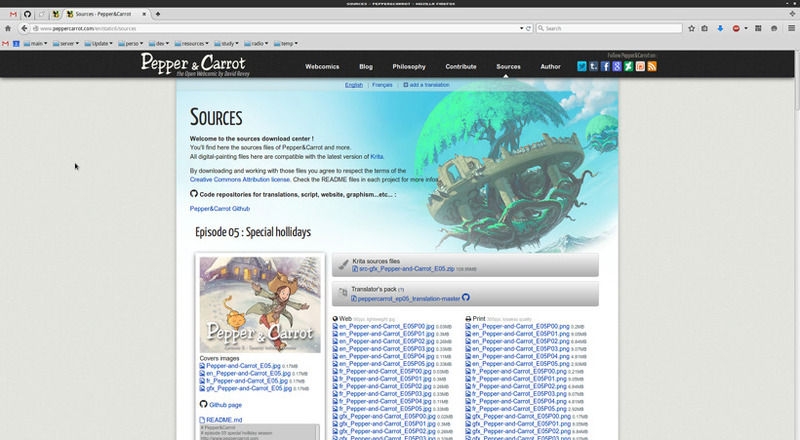 The source page, focus on the Episode 03 , with arrow and description label on the top to explain the new features. Adding multilingual support wasn't easy, but it would have been pointless without proposing a first translation. That's why I started to translate all the website and webcomics into French. I'll keep maintaining the French version, but any correction/improvement help is welcome. All the five first webcomics where totally refactored with vector text, vector speech-bubbles, and many other fixes. I used again the (best) Content Management System PluXml , but this time, I decided to port all my previous tweaks to the core to external plugins. Other artistic open-source project doesn't share publicly the source while they are making the content. Maybe the fear of spoiling the story to the audience? or the fear of receiving a bad and demotivational comments at early step of the process ? License: CC-BY David Revoy, www.davidrevoy.com, 2 march 2015 .